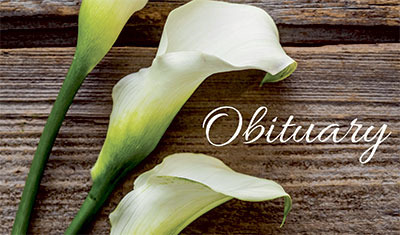 DEFIANCE, Ohio — Saundra S. Schwinnen of Defiance, died April 2, 2019, in Defiance. She was born Aug. 21, 1939, in Van Wert, the daughter of John and Esther (Cox) Dempsey, who preceded her in death. She was also preceded in death by her husband, Terry Schwinnen. Survivors include her children, Vicki (Phil) Schaadt of Ohio, Teresa (Mohammod) Mosaddaque of Keller, Texas, and Rebecca Schwinnen of Ohio; two brothers, Maurice and Donny Dempsey; sisters, Beverly Schoonover, Linda Neer, Johnette Waltmire; grandchildren, Sean and Brandon Schaadt, Tonia, Megan, Ryan, and Alexis Mosaddaque, and Melissa Schwinnen; five great-grandchildren with two on the way. She was preceded in death by four sisters, Helen Osting, Nellie Schabbing, Gretna Stevens, and Mary Dempsey, and a grandson, Christopher Schaadt. A celebration of life for friends and family is set for Sunday, April 14 from 1 - 5 p.m. at the Ohio City Community Building, 308 Lambert St., Ohio City, OH 45874. Bring your own drinks. Burial will be held at a later date. Preferred memorials are to the family — Vicki Schaadt or Teresa Mosaddaque, 1010 Harding St., Defiance, OH 43512.